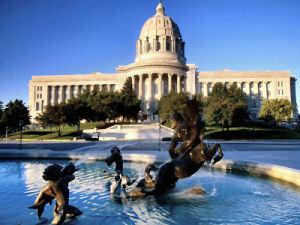 Welcome to Missouri, a land of fertile plains, rolling hills, well-watered prairies and historic rivers. Two of this country's greatest waterways, the Mississippi River on the state's eastern border, and the Missouri River, which winds across the state, helped Missouri become a supply center for many of the westward-bound settlers of the nation's early years. Shipping along the navigable rivers boosted the state's status as an agricultural supplier. Barges and steamboats used the waterways to move goods and people. River towns boomed. Railroads continued to fuel the growth of Missouri as a large transportation center. Today more than a dozen major railroads carry goods through the state, and transcontinental airlines keep passengers and cargo on the move. The Missouri Territory, and later the state, took the name of the Missouri River. 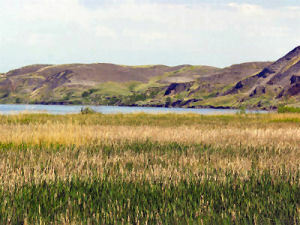 The river was named for the Missouri Indians who lived along the banks. The name, Missouri, means "canoe haver." This most widely recognized nickname for Missouri was in use in the late 1890s. It's not known exactly where or how this nickname originated. The most popular story regarding this nickname revolves around remarks made by United States Congressman Willard Duncan Vandiver who served as a member of the U.S. House Committee on Naval Affairs. Mr. Vandiver, a scholar, writer and lecturer with a passing resemblance to Mark Twain, was speaking to Philadelphia's Five O'Clock Club. Questioning the accuracy of an earlier speaker's remarks he concluded "I come from a state that raises corn and cotton and cockleburs and Democrats, and frothy eloquence neither convinces nor satisfies me. I am from Missouri. You have got to show me." Another story is that the nickname originated as a derogatory reference to Missouri miners working in Leadville, Colorado. During the Colorado miner's strike, men from Joplin, Missouri were brought in to work the mines. It is said that the Missouri workers, unfamiliar with Colorado mining methods, required frequent instructions from the pit bosses. "That man is from Missouri. You'll have to show him." Another legend indicates that the name originated on passenger trains. Around 1897, hundreds of free train passes were given to Missouri legislators. The conductors, when told that a free pass was being used, would say "You've got to show me." Yet another story centers around soldiers stationed at Chickamauga Park in Tennessee in 1898 at the start of the Spanish-American War. It is said that the gate guards were from St. Louis, Missouri and that any soldier wanting to leave the encampment to go to town was required to "show" the guards a pass. 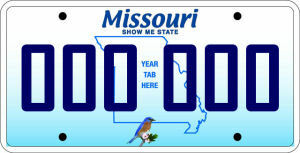 Regardless of its origin, the nickname has stuck and can be found on Missouri license plates. It has come to represent Missourians as stalwart, perhaps somewhat stubborn and with a dedication to common sense. This nickname references the thousands of caves found in Missouri. Over 5,600 caves have been registered and more are discovered each year. At least 20 of these caves are public "show" caves. Show caves are open to the public with guided tours. Missouri's lead production has been second to none in this country. The "Old Lead Belt," located in the eastern Ozark Mountains helped Missouri achieve its status as the premier lead mining area of the world. Cities named Leadington, River Mines, Old Mines and Leadwood reflect the influence of lead mining in Missouri. Missouri's official State Mineral is Galena, a major source of lead ore. It is said that this nickname originated with Thomas Hart Benton. The first Missouri Senator, Mr. Benton was elected for five terms becoming the first man to serve 30 years in the U.S. Senate. Senator Benton steadfastly supported hard currency; gold and silver. Because of his opposition to banks and paper money, a political stance against monopolies and "eastern capitalists," he was popularly known as "Old Bullion." Missouri has been called "The Ozark State" because of the Ozark Mountains. This name and "The Gateway to the West" have been used to refer to Missouri's location and its historical base for western expansion. 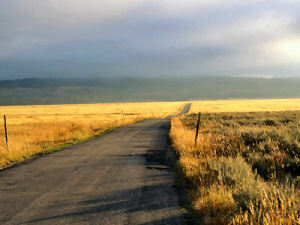 The Oregon and Santa Fe trails both begin in Missouri. The Pony Express and the Butterfield Overland Mail Route both originated in Missouri. 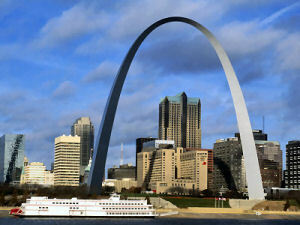 The 630 foot Gateway Arch, in St. Louis, pays tribute to Missouri's role in westward expansion. This nickname comes from Iron Mountain, so named because of the very large veins of iron ore that were found there. This distasteful name is said to refer to the large gathering of Missourians in 1827 at the Galena Lead Mines. According to George Earlie Shankle, PhD, in State Names, Flags, Seals, Songs, Birds, Flowers and Other Symbols , 1938, "...so many Missourians had assembled, that those already there declared the State of Missouri had taken a 'puke.'" This name may have originated because of the similarity of Missouri's and Pennsylvania's mining and manufacturing economies. People who live in Missouri or who come from Missouri are called Missourians. The Missouri quarter is the fourth quarter of 2003, and the 24th in the 50 State Quarters® Program. Missouri became the 24th state on August 10, 1821, as a part of the Missouri Compromise. The Missouri quarter depicts Lewis and Clark's historic return to St. Louis down the Missouri River, with the Jefferson National Expansion Memorial (Gateway Arch) in the background. The quarter is inscribed "Corps of Discovery 1804-2004." While much of the state's history is tied to the mighty rivers that flow through it, the "Show Me State" got its nickname because of the devotion of its people to simple common sense. In 1899, Rep. Willard D. Vandiver said, "Frothy eloquence neither convinces nor satisfies me. I'm from Missouri. You've got to show me." It is easy to imagine President Thomas Jefferson saying "show me" as he sent Lewis and Clark forth on their trek into the uncharted Louisiana Purchase territory. Their 8,000-mile journey westward and back, which some claim was the greatest U.S. military expedition ever, began in St. Charles, Missouri -- just 20 miles west of St. Louis -- in 1804 and ended when they returned to St. Louis, Missouri in 1806. Missouri (From Sea to Shining Sea) , by Mary Ellen Lago. 80 pages. Publisher: Children's Press(CT) (February 2003) Reading level: Grades 3-5. Presents information about Missouri's people, geography, history, landmarks, natural resources, government, state capitol, towns and cities, and more. Missouri (World Almanac Library of the States) , by Scott Ingram. 48 pages. Gareth Stevens Publishing (January 1, 2002) Reading level: Grades 4-6. Filled with the most up-to-date information, including the latest Census results. Full-color photos bring to life the story of Missouri. In addition to an in-depth factual profile of Missouri in the form of a state Almanac, this book offers fascinating and lively discussions of the state's history, people, geography, government, economy, culture, and lifestyles. A section on Notable People, a calendar of events, and enough primary source documents, time lines, maps, and other tools to make this unquestionably the best young adult reference material on the USA available anywhere. A History of Missouri: Vol I, 1673 To 1820 , by William E. Foley. 248 pages. Publisher: University of Missouri Press (April 2000) A History of Missouri: Volume I, 1673 to 1820 covers the pre-statehood history of Missouri, beginning with the arrival in 1673 of the first Europeans in the area, Louis Jolliet and Jesuit Father Jacques Marquette, and continuing through the development and growth of the region, to the final campaign for statehood in 1820. In tracing the broad outlines of Missouri's development through the formative years, the author examines the origins of Missouri's diverse heritage as the region passed under the control of French, Spanish, and American authorities. A History of Missouri: 1820 To 1860 , by Perry McCandless. 336 pages. Publisher: University of Missouri Press (April 2000) "This thoroughly researched study describes the development of Missouri from a frontier society into a diverse region torn by struggles over economic policies, slavery, and the question of its allegiance as the Civil War approached. Discussing the physical environment; the origins and character of the people; economic growth and urbanism; and literature, fine arts, and recreation, the author demonstrates a broad knowledge and deep understanding. . . . The author has unraveled the maze of Missouri politics during the 1840s and 1850s with uncommon skill." -- Journal of Southern History . A History of Missouri: Vol III, 1860 To 1875 , by William E. Parrish. 352 pages. Publisher: University of Missouri Press (September 2001) A History of Missouri: Volume III, 1860 to 1875 follows the course of the state's history through the turbulent years of the Civil War and Reconstruction. Increasingly bitter confrontations over the questions of secession and neutrality divided Missourians irreparably in 1861, with the result that the state was represented in the armies both of the North and of the South. During the next four years, Missouri would be the scene of several important battles, including Wilson's Creek and Westport, and much bloody combat as secessionist guerrillas and Union militias engaged in constant encounters throughout the state. Indeed, Missouri probably saw more military encounters during the war than any other state. A History Of Missouri: Vol IV, 1875 To 1919 , by Lawrence O. Christensen & Gary R. Kremer. 286 pages. Publisher: University of Missouri Press (August 2004) "In this general history of Missouri from 1875 to 1919 authors Lawrence O. Christensen and Gary R. Kremer have provided a comprehensive survey of events, trends, and themes during the Gilded Age and Populist-Progressive Era. . . . This volume of A History of Missouri is a solid piece of scholarship. The coverage is sensible. Indeed, the book is what it purports to be, a thorough-going history of the Show-me State, and it exhibits a good feeling for the state and its people. . . . This volume should be widely used and will surely have lasting value." -- Journal of Southern History . A History Of Missouri: Vol V, 1919 To 1953 , by Richard S. Kirkendall. 438 pages. Publisher: University of Missouri Press (July 20, 2004) "[Kirkendall] addresses other issues that generally receive inadequate attention in volumes of this type. His treatment of the role of women during the crucial years of his study is admirable. Likewise, his analysis of black life in Missouri during those years is important. Not only does he document and describe the oppression faced by blacks, he also writes at length about their creative response. Kirkendall is at his best when writing about the jazz culture that emerged in the 1920s and 1930s in Kansas City. . . . This book is a valuable addition to the literature on Missouri history." -- Journal of Southern History . A History Of Missouri: Vol VI, 1953 To 2003 , by Lawrence H. Larson. 212 pages. Publisher: University of Missouri Press (August 2004) The final volume of A History of Missouri . Beginning at the close of the Truman presidency and ending in 2003, the 200th anniversary of the Louisiana Purchase agreement and of the organization of the Lewis and Clark expedition, Volume VI explains how modern Missouri bridged the years between the mid-twentieth century and the new millennium.